When your school signs up for Parent Booker it means that parents can get a free iPhone, iPad or Android app branded to your school where they can track their hours, see a list of volunteer events targeted to them and enter additional hours served. Sign up your school for Parent Booker >>. Your school deserves its own app! Having an iPhone and iPad app promotes your school and gives it much greater credibility with today's increasingly tech savvy parents. It's something parents will talk up and certain to present the school as progressive and committed to engaging with parents. 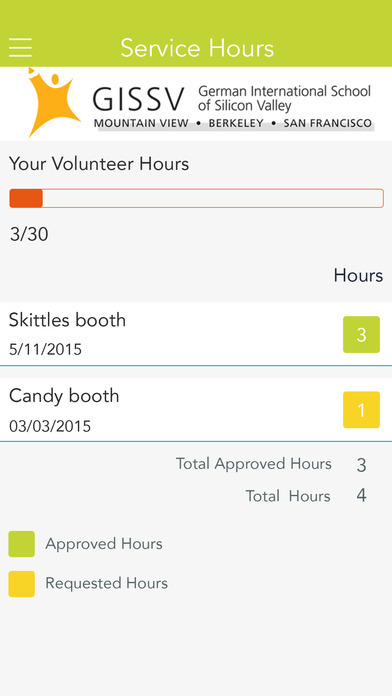 Parents can sign up for volunteer events with a single click via the app. 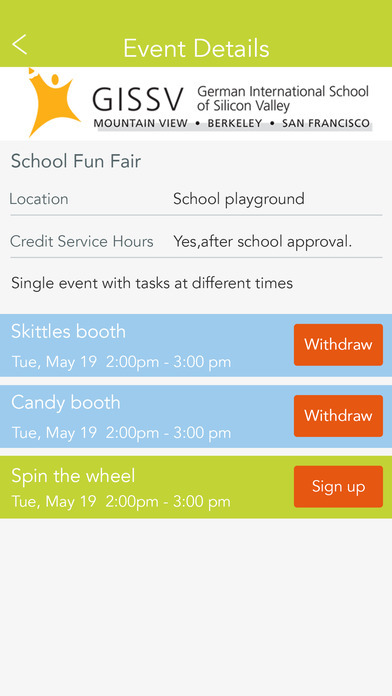 The app shows parents a personalized list of school opportunities tailored to their children's classes, for which they can easily sign up with just one touch on their iPhone or iPad. Add service hours right after you've done them. 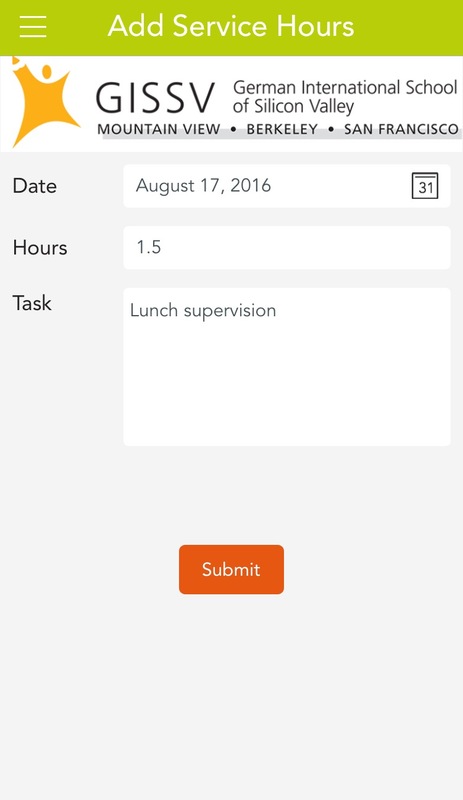 Using the app parents don't need to fill in complex log books, or send their hours to an overworked school administrator or parent. They can enter them right on the spot wherever they are using your school's app.